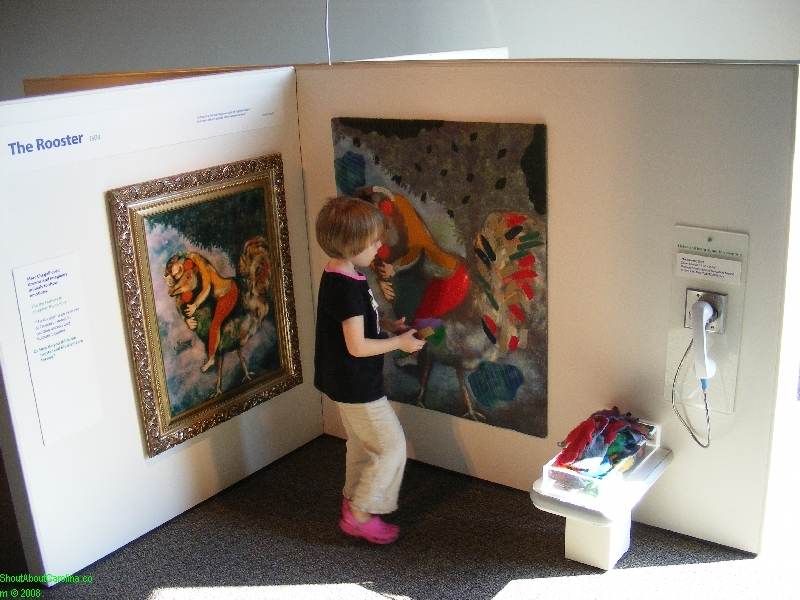 Let your imagination flourish and your wildest dreams come to life at Edventure’s Chagall for Children art exhibit. Each station presents one of Marc Chagall’s magical paintings alongside a working area where kids can draw, weave, decorate and re-arrange the art the way they feel it. The exhibit let’s you experience a full range of art concepts and media such as self-portrait, layered images, collages, relief, mosaic, lithography and tapestry. Do your self-portrait in red, blue and purple colors! 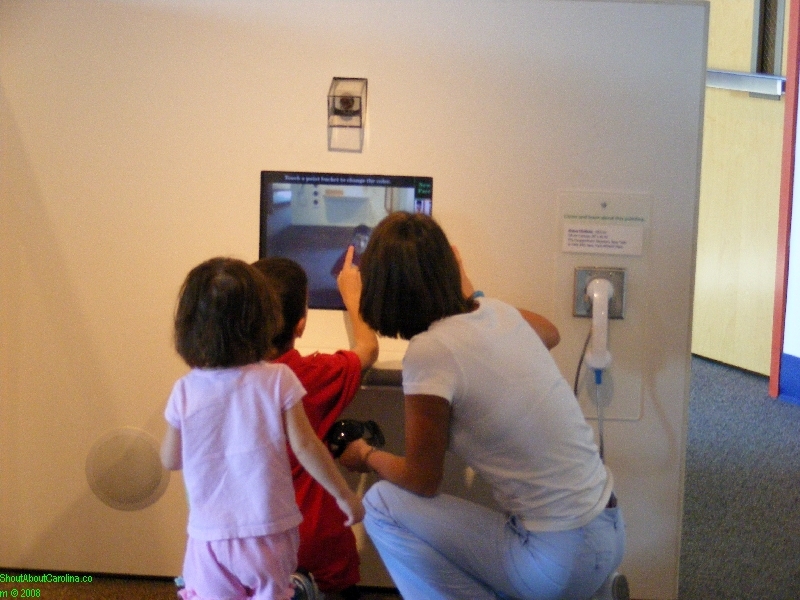 • The touch screen “do your own (family) portrait” station it’s the exhibit’s winner. We spent most of our time there goofing around taking different shots and experimenting with the colors. While kids have fun playing there you can read the descriptions and enjoy the art on your own terms. • Make sure to pick up the Gallery Guide. It has 17 do-it-at-home (or in the class rooom) arts and crafts ideas. Lana’s favorited things to do were Reflections from a Spoon, The Story of The Flying Sleigh, and Faces, Colors and Moods. 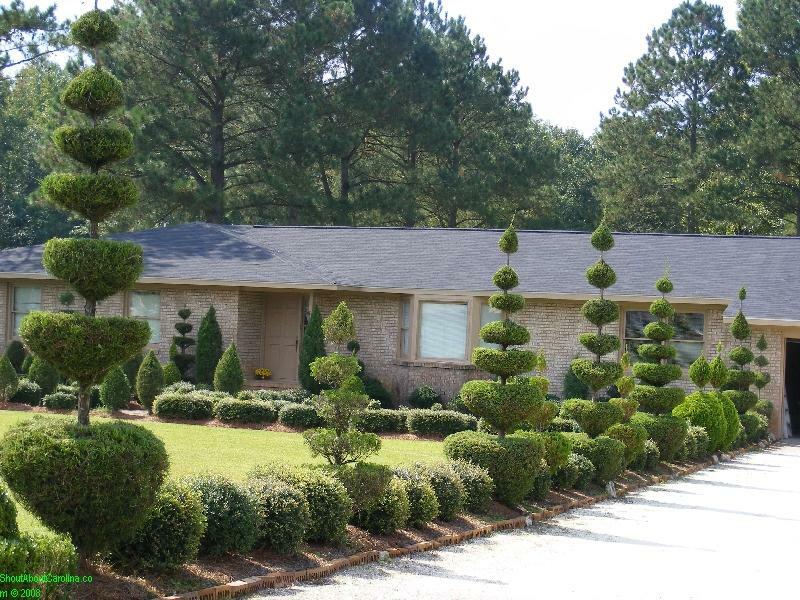 • You can’t see and do it all in one visit. Luckily the exhibit is open through January 4, 2009 so you can come back and enjoy it to the fullest. I know we will. 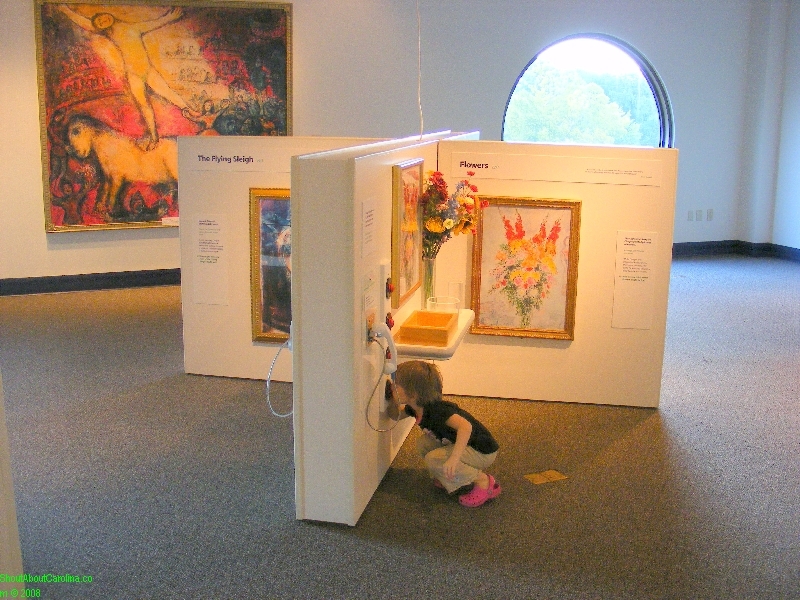 • Admission to the museum is $6.95 for children 2-12 and $8.95 for adults. EdVenture is open Tuesday to Saturday 9 AM to 5 PM and Sunday noon to 5 PM. It is located downtown Columbia at 211 Gervais Street besides the SC State Museum. Parking is FREE. Need more weekend ideas? Take your kids to Jumps-N-More where for only $6 they can jump, bounce, run the obstacle course, climb and knock down dinosaurs! Housed in the former Columbia Mill building the State Museum features 4 floors of interactive exhibits covering art, history, natural history, science and technology. It is South Carolina’s and probably the Southeast’s largest state museums. Curious to find out how Columbia came into place? 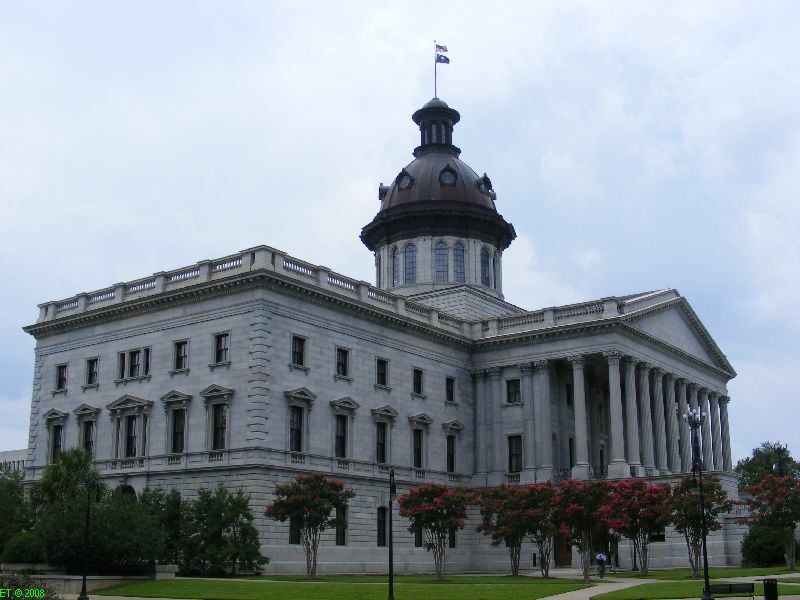 In 1785 the South Carolina Senate approved to move the new state capital on the land near Garners Ferry on the Congaree River. Among other nominations were Camden (the first proposal, later rejected), the Sumter District (supported by Gen. Sumter the “Fighting Gamecock”!) and the land near St. Matthews. Columbia was America’s first planned capital city, designed and laid out in a two-mile square with streets named for agricultural products (how original!) and Revolutionary War heroes. Not everyone seemed to agree the Columbia city planning was a very good idea. Col. Thomas Taylor who owned several hundreds acres along the Congaree River near the future site of Columbia is reputed to have said that the city founders “have turned a damned fine plantation into a pretty poor town”. 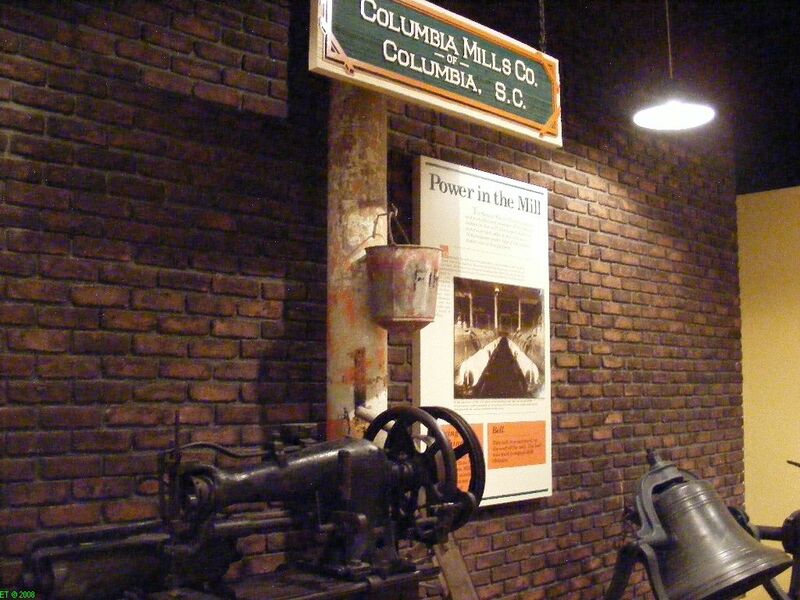 The Cotton Mill exchange – The State Museum building once was a prominent textile mill, the Columbia Mill or “Duck Mill” as it was called. Opened in 1894 it was the world’s first totally electrically operated mill. It closed in the late 80s. 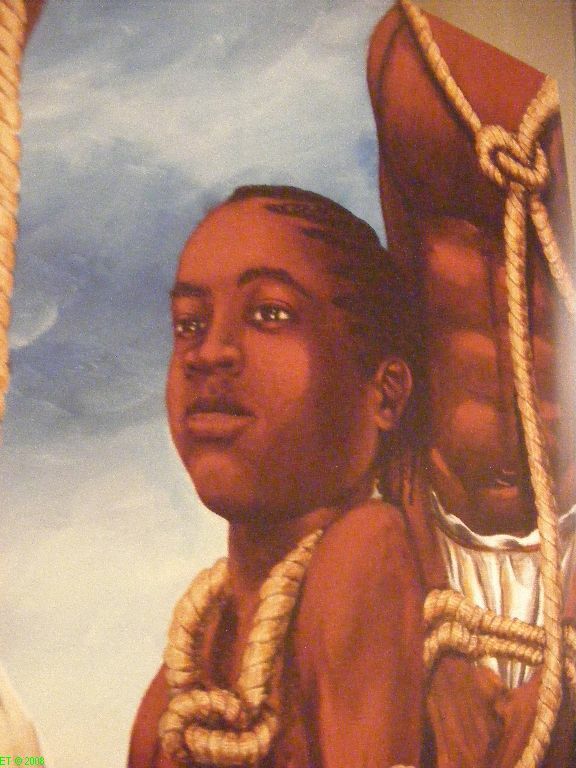 Learn the life and customs of Coastal Native Americans and the very moving story of Priscilla, a little girl abducted centuries ago from Sierra Leone. Marvel seeing the 1904 Curved Dash Oldsmobile one of the first automobiles in South Carolina and full size replicas of “Best Friend of Charleston” the first American-built steam locomotive and the H.L. 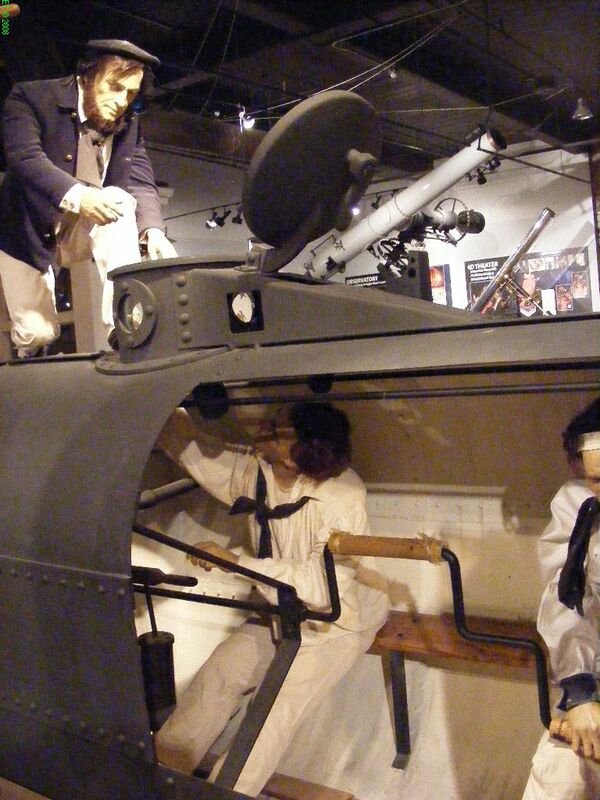 Hunley, the Confederate’s best hope to break the blockade during the Civil War and first submarine to sink an enemy ship. To this day we don’t know why and how the Hunley disappeared. Here are the most recent findings, clues and theories on what might have happened to the Hunley. Check out these amazing artifacts on display in North Charleston. 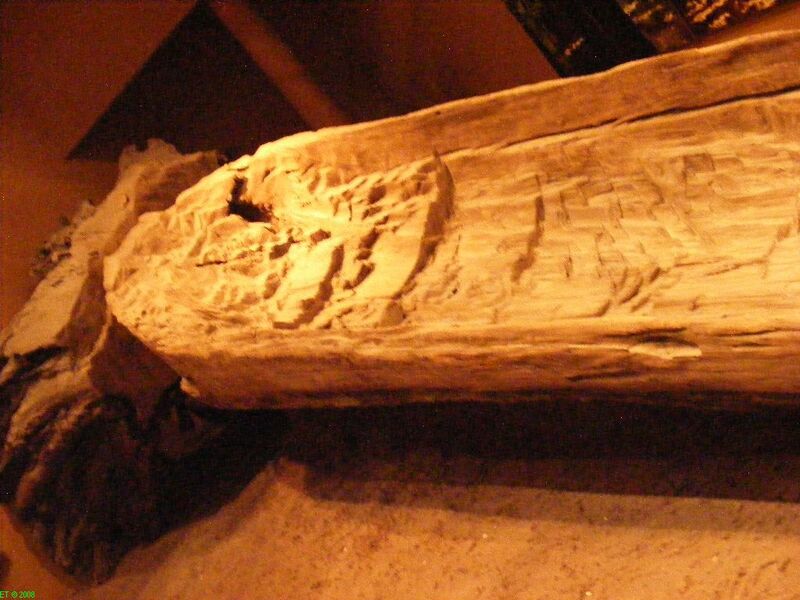 See the incredible dugout canoe! Kept underwater for centuries it was found in pristine condition, still attached to its roots, a rare archeological treat. Apparently the wood cracked and it was never finished. 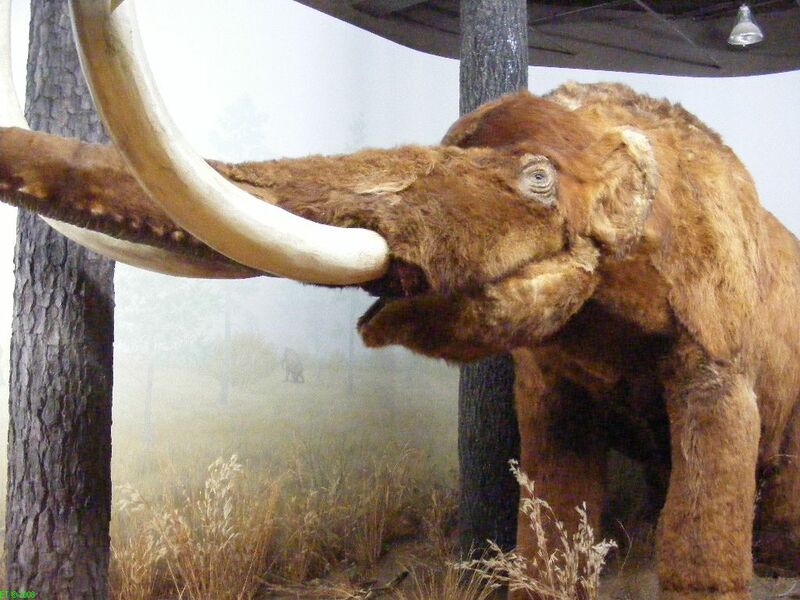 At the natural history exhibits the pre-historic animals steal the show. You will be awed to see full size replicas of a mammoth, giant armadillo, and a “cute” T-Rex as one might expect. On the Science and Technology floor you can admire the gold medal of Dr. Charles Townes, South Carolina first Nobel Prize winner, who invented the laser; also on display outer space artifacts from moonwalker Charles Duke. If you get hungry Crescent Café is open till 4 PM and offers deli sandwiches, hot-dogs, salads and soups, and bakery items like croissants, muffins and cookies. Beverages options are soft drinks, bottled water, coffee, hot chocolate and tea. The museum hosts remarkable traveling exhibits so make sure to come back and enjoy them all. For example in 2008 we had a blast trying to figure out how to operate dozens of Leondardo da Vinci inventions (yes they let you touch and play with them!). This year we were amazed seeing the most powerful natural forces at work: tornadoes, hurricanes, earthquakes, volcanoes, blizzards, floods and the world’s largest hail stone! Added bonus you can play weather man on a live TV screen. The Powers of Nature exhibit will run till first week in September 2009. Admission: Adults $7, children 3-12 $5. Military and senior discount is $1. For a full schedule of events, special tours, birthday parties visit the State Museum website or call (803) 898-4921 and (803) 898-4999 for group reservations. Directions: The State Museum is located downtown at 301 Gervais Street across from Edventure Children’s Museum, few blocks west of the State Capitol. 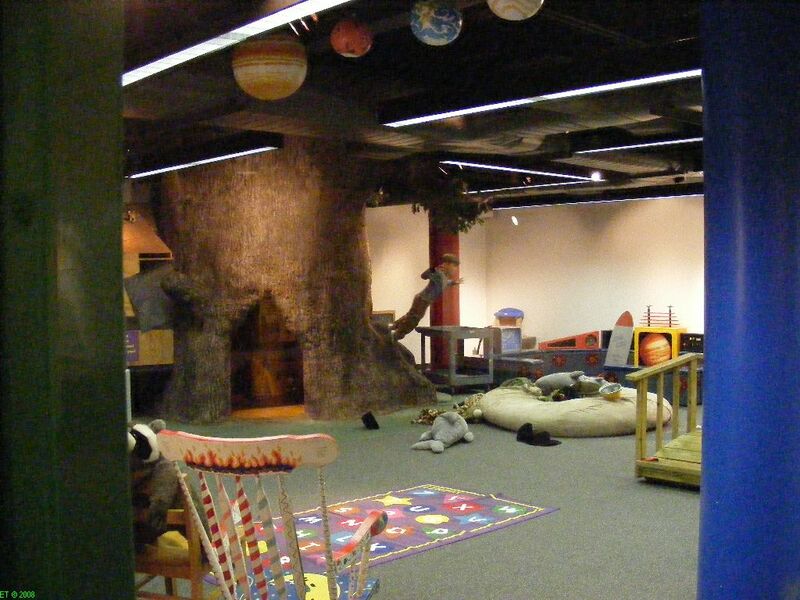 Learn and play at the SC State Museum!